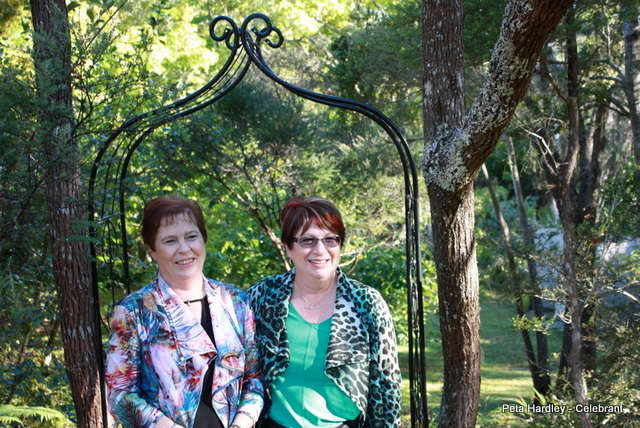 I thought I’d share four weddings earlier this year, held here at my Kumeu home ‘Casabella’. 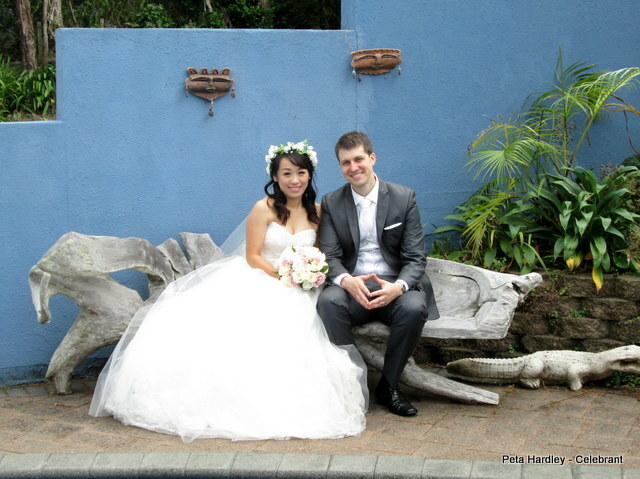 Natalia and Jason married in the garden, then used the covered courtyard to cut their cake. This was followed by a stroll around the property with their photographer, to find just the right place for that perfect photo. Caity and Jonathan chose a very personalised ‘Dr Who’ themed wedding. 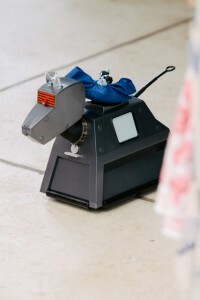 Their ceremony was complete with a robotic dog ringbearer– K9, a Mini TARDIS and Dr Who quotes and references. Of course the nibbles afterwards had to include jellybabies. 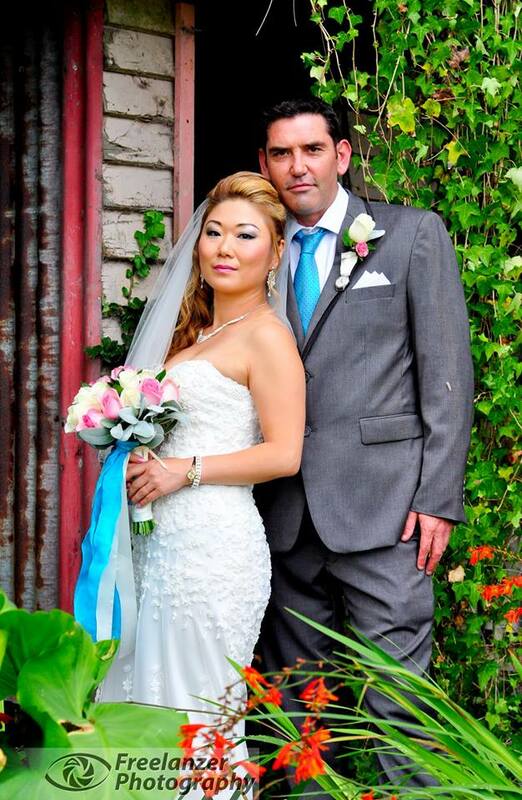 Pat and Debra travelled all the way from Australia to marry here at Casabella. In an intimate ceremony with a handful of family members, they shared their excitement of joining the ranks of the“gloriously retired” Their plan is to hitch up their caravan, explore their beautiful country, make new friends and ride into the sunset together. Sounds like pure bliss to me! 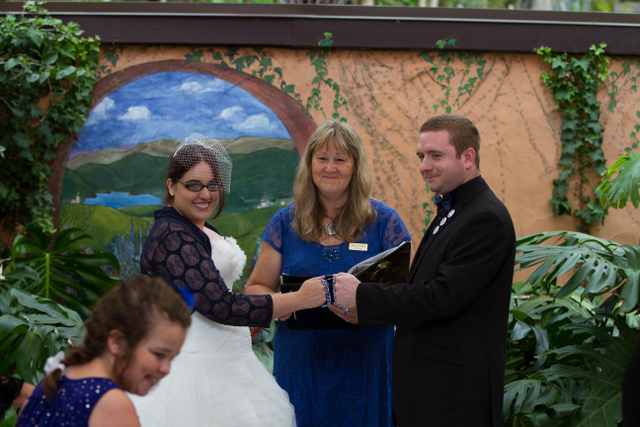 Eileen and Shaun celebrated their commitment ceremony here at Casabella. Although both of them say they are shy they both absolutely shone on the day. Although there’s a lot of prep work for me, I love being able to share my home with couples on their big day. ‘Casabella’ is the perfect ceremony venue for an wedding of up to 40 people. – Don’t hesitate to contact me if you want to know more.